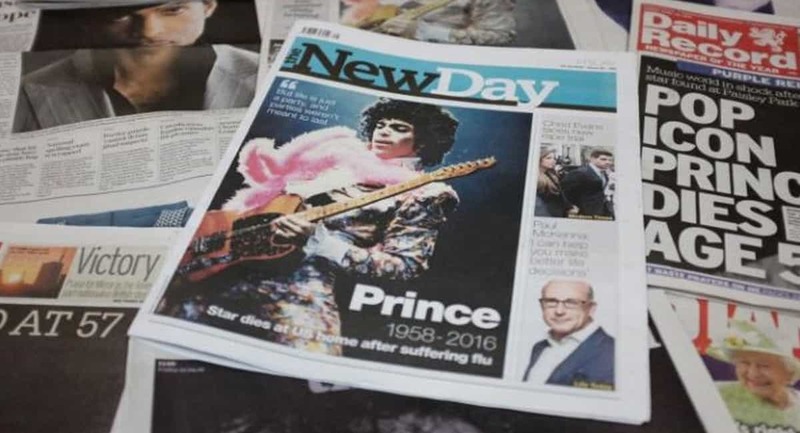 The whole “Is print media dying?” question has reared its head again with the news that Trinity Mirror’s New Day will close, with a loss of up to 25 staff. It follows an announcement earlier in the month that Prima Baby & Pregnancy has ceased production. Immediate Media has confirmed that publication of the magazine has been suspended due to changing reader habits with much of its audience now finding content online instead – a common theme across the industry as a whole. And perhaps the fact the company is effectively competing with itself by continuing to invest in its online parenting brand MadeforMums.com, which isn’t behind a paywall, has contributed to the decline in circulation of Prima Baby & Pregnancy. But this magazine isn’t the only one of Immediate’s to close. It has been revealed that Knit Today will shortly cease to exist, with the last issue set to be published in April. And New Day’s demise due to poor sales has led to industry commentators lamenting that the national title was destined to fail, an ‘ill-conceived experiment’. So what does the future hold for print media? Many would argue that print can’t survive against the immediacy and far-reaching impression of digital media. Some publications, such as The Debrief, are launching as online-only platforms, unrestricted by any subscription costs or paywalls. With so much free content available online there is less of an incentive to spend money on print publications unless they can offer something different. Magazines, such as NME, moved to purely online in order to combat decreasing circulation, and perhaps to try and win back some of its readers who stopped buying the magazine in favour of finding similar content available online for no cost. Some new publications are even launching as free models. Shortlist and Stylist, have set an unprecedented example by attracting high revenue streams from advertising thanks to their ‘freemium’ strategy, where content and quality are not sacrificed, despite there being no revenue from cover price. But some publications are choosing to abandon their print magazines altogether, with EMAP making the decision to phase out all of their print magazines and move to digital-only. Despite this, some would argue that the industry needs to find ways to make print flourish again as monetising online content remains a problem. Few publishers would be able to withstand the loss of the advertising revenue they get from their print magazines if they were to make the move to digital-only. It is therefore easy to assume that EMAP will fail in its venture into digital-only. But as a B2B company, with publications such as Drapers, Retail Week and Health Service Journal on its books, it will be far easier for it to generate revenue online as it has high subscription costs for the apps and the websites remain behind a pay-wall. As such, it relies less on advertising revenue. And the ‘print vs digital’ debate isn’t the only thing to affect publishing in recent years. The media industry is ever-changing and in today’s digital world, anyone can be a publisher. Independent bloggers and avid social media users are now competing against the traditional media houses, to push content online. So, what does this all mean for public relations and the rest of the industry? The way we publish content will continue to change. No matter what happens to the print industry, story-telling and content creation are still critical. The Tonic Communications has a proven track record in content creation across PR and social media. Contact us to find out more about our experience and credentials in this area.